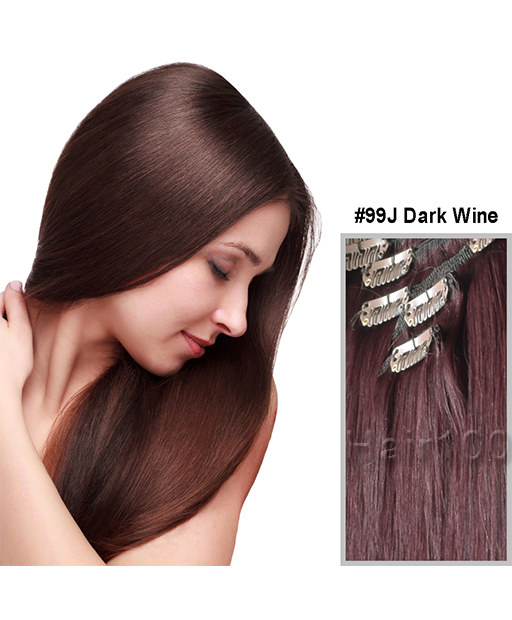 Clip in Hair Extensions Dark Wine is available from hair100 Now! 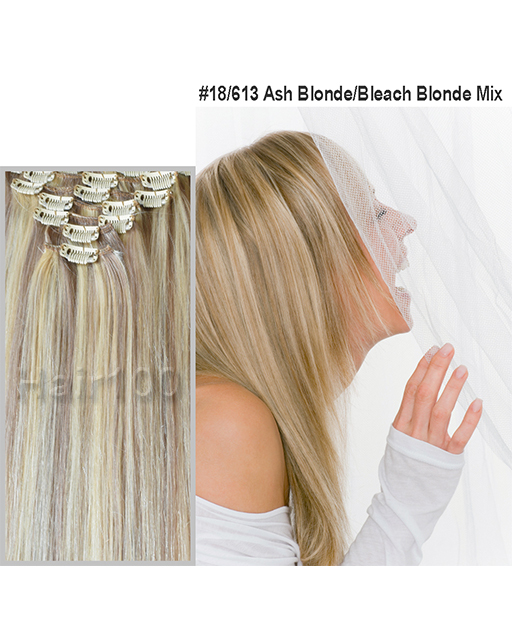 Hair 100 Clip in Hair Extensions Dark Wine Full Head Sets are made from 100% of remy human hair. Also they come along with quality clips. 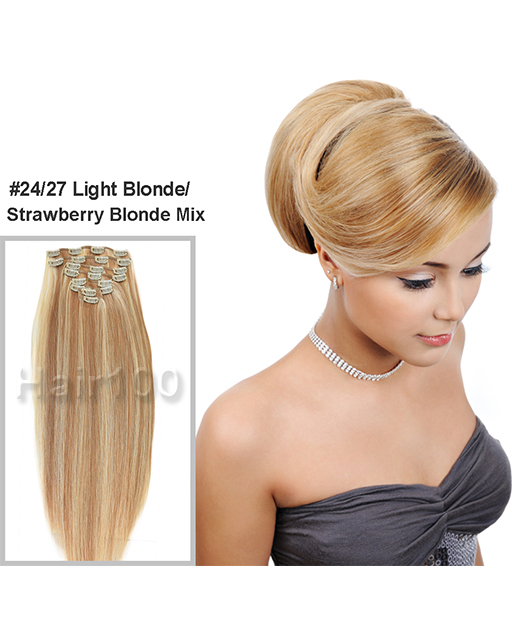 Hair 100 clip hair extension is easy and simple to apply. That is, normally you can get it ready within 5 minutes. Furthermore, we add more volume of hair to make sure they have enough hair to cover the full head. The new technology makes the layers looking more natural and feel more comfortable when you wear Clip in Hair Extensions. Also, the clip hair extensions allot the full head to more reasonable pieces which gives yourself more choices to make a decision where you would like to put on your head. 8 pieces full head set is enough for a full head normally, but if you need more volume, you may choose 12 pieces set which has more volume of hair. 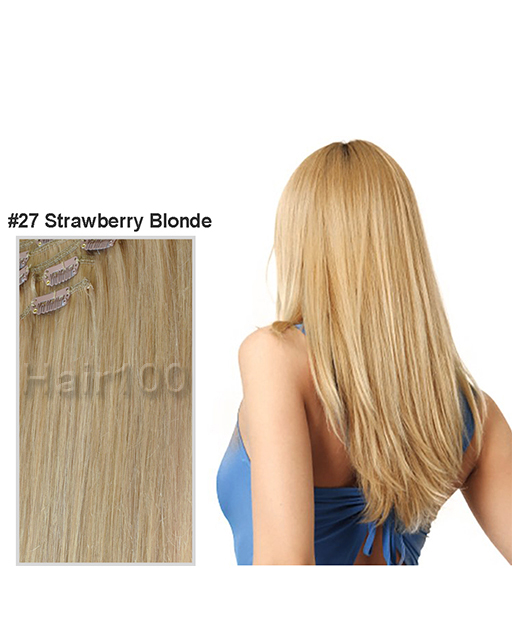 Hair 100 Clip in Hair Extensions Dark Wine can be curled, straightened, dyed and cut as normal hair.